Pastry boxes are generally produced according to the requirements of the consumer. However, the box is manufactured from quality material to ensure proper preservation and delivery of pastries. These boxes are usually produced and shipped at a flat rate. It does not also require any form of expertise to assemble. These boxes can be produced in different designs and styles. Prominent companies also offer different sizes of pastry packaging boxes. Inserts can also be provided on these boxes to store more than one pastry at a time. These boxes help the delicate pastry to retain its freshness and taste for an extended period. Consumers enjoy eating fresh, moist and tasty pastries. When they discover that your company’s pastries stay fresh for long, they will be more interested in buying your product. Bakers and confectioners use the Pastry packaging box to promote and grow their businesses. With a lot of competitors producing almost the same taste of pastries, one unique way to differentiate your brand from others is to make your packaging more attractive and unique. Consumers place more value on items that are neatly packaged. Pastry packaging box help to prevent dust and other items from coming in contact with the pastry. The box helps to keep the pastry in a hygienic state for long. These boxes can be used to delight the customer in a unique way. Apart from the fact that these boxes can retain the freshness and sweetness of the pastry, it also maintains their shape. The pastry is fragile and can lose its way quickly. The box helps to prevent any form of abrasion or pressure that may distort the shape of this food item, during storage and while on transit. Pastries can be offered to guests during birthday parties and other main events. These boxes are usually made more attractive and colorful for such celebrations. 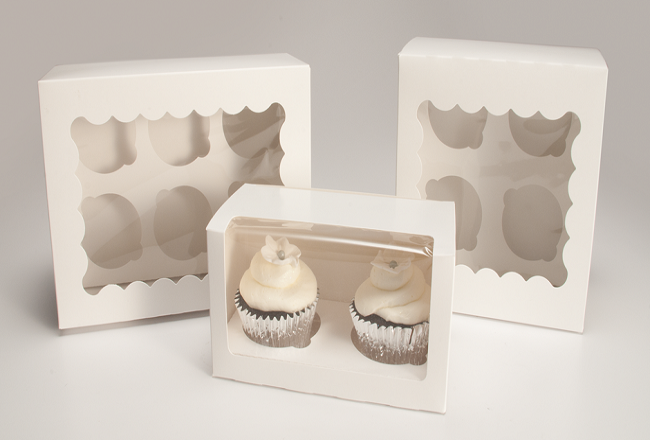 For the wedding, the color of the Pastry packaging box can be the same as that used for the occasion. This will add more color and beauty to the environment. For transporting a large number of pastries, these boxes can be customized with unique inserts. This will help businesses to save the cost of transportation as a large number of delicacies can be transported at the same time in a single pastry box. The insert also helps to hold the pastries firmly in place. It prevents these desserts from colliding or falling out of place, thereby reducing wastage that the business might incur. New and existing businesses can also use the pastry packaging box to grow their businesses. This box is also an excellent marketing tool. Company logo, address, and other vital information can be printed on the box. The type of ingredients used can also be printed on the pastry box. Kids will fall in love with pastry boxes that are designed with unique cartoon characters or printed with attractive colors. Customizing your unique pastry box is a prerequisite for business success and growth. Once the quality of the product is good, another unique way to entice consumers is to deliver your pastry in individual packaging boxes. There is a lot of competition among bakers and for your business to gain successful market penetration you need to get crafty with your pastry box. Leading packaging companies allow their customers to choose the design, style, and type of material they want their packaging box to have. Numerous templates can also be offered to customers to stimulate the customer’s idea. Delight consumers with attractive pastry boxes. These boxes can also be customized with unique handles to make it easier for your customers to carry more pastries. The pastry box can also be made more attractive with high color techniques such as the CMYK and PMS technique. This modern color technology in addition to the digital and offset printing techniques can be used to enhance the attractiveness of the pastry packaging box. The handles that come with these boxes are one of the unique features that make the pastry box portable and convenient to handle. In addition to the handle, window design can also be provided on the packaging box to increase the visibility of the content. This will make consumers salivate once they see the mouthwatering dessert through the window. Pastry box is printed with high technology such as the digital and offset printing technique. Quality ink and color technology are also used to enhance the appearance of the pastry packaging box. For special events, these boxes can also be printed with a compelling theme that presents the product in a unique way. Pastry box can also be used to distinguish the brand’s identity from others in the same line of business. Logo, brand title, and other vital information can also be printed on the box. There are so many benefits of hiring a professional. The individual is not only filled with vast knowledge about how to solve your packaging needs but offers unique packaging boxes that will cause your brand to stand out. You can outshine your competitors by uniquely packaging your products. 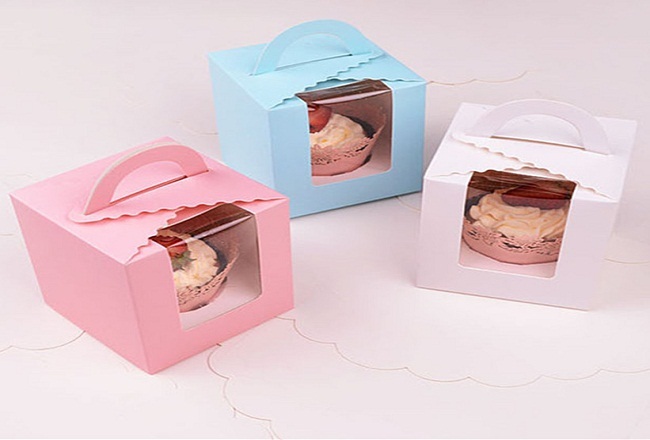 However, the pastry packaging box can be made more attractive with high-quality finishing techniques such as glossy, matte, spot UV, embossing, debossing, and raised ink.